Starting off this new week of knock-offs, is the very talented Courtney from Sweeter Than Cupcakes. She's the mom to two beautiful girls, who taught herself to sew when her oldest was a baby. 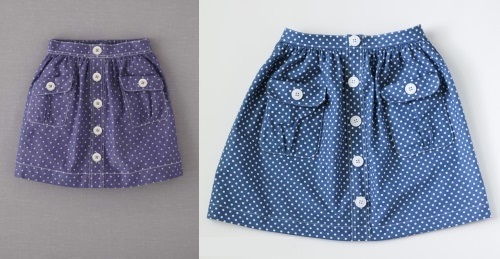 I'm beyond thrilled to have her sharing this Mini-Boden-inspired skirt for the series. Head over to Sweeter Than Cupcakes for details on how she made it, plus a full tutorial for size 5. 1 comment on "Knock if Off - Sweeter Than Cupcakes"